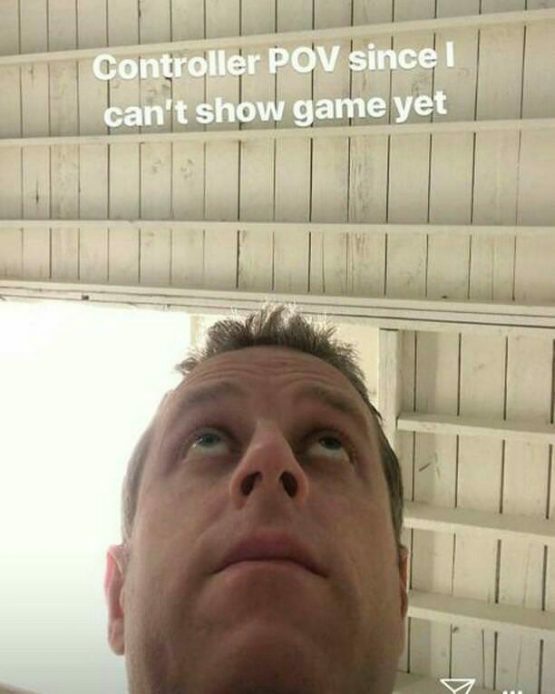 Geoff Keighley recently posted a bizarre pic on his Instagram account, claiming that the pic was taken from the point-of-view of his controller. He explained that it’s because he can’t show the game or say anything about it yet. The post has since been deleted, most likely because several people probably suggested he could pin a rose on his nose. I would have, at least, especially since the photo view is essentially up his nose. However, thanks to the power of the Internet, these things can live forever. Naturally, this cryptic (yet creepy) photo has set plenty of speculation fires across the web. Most people believe this is Death Stranded, Kojima’s upcoming video game, since Keighley and Kojima are fairly close. Not to mention, Kojima has often used Keighley’s various platforms to announce and show-off current projects. Of course, this could be literally anything else under the sun. It’s just as possible Keighley is messing with everyone, and he’s laughing maniacally in his swanky condo while sipping martinis. Do you have any conspiracy theories? My money is on Half-Life 3.